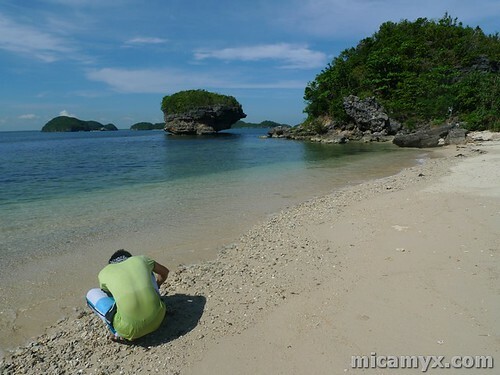 Before I proceed to this travelogue, i want to confess something first: I haven’t been to Hundred Islands in Alaminos City, Pangasinan prior to this trip despite the fact that live only 1 1/2 hrs away from it. 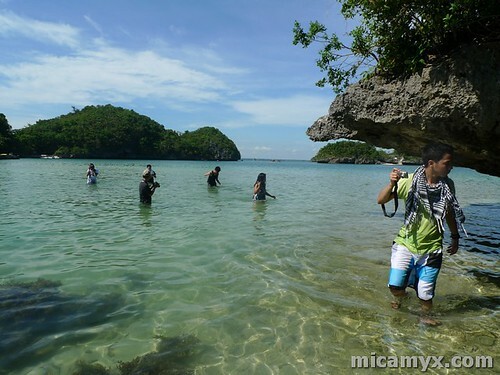 Are you ready for the ultimate Hundred Islands adventure? 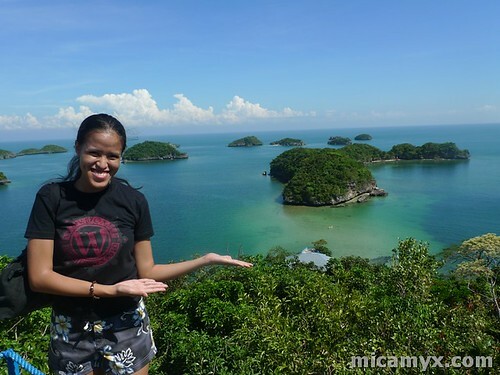 It is the reason why I am excited to go to Hundred Islands. 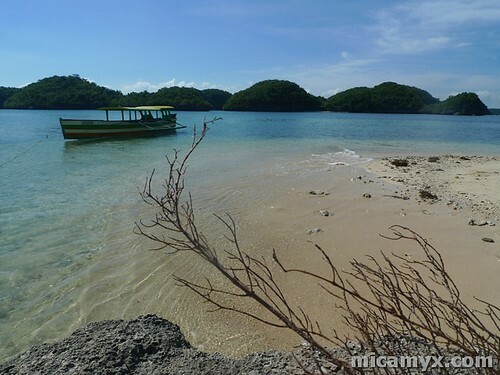 As a little kid, i remember my father passing through the port of the Hundred Islands National Park, but I never really had the chance to ride in a boat and explore Pangasinan’s most prized tourism destination. 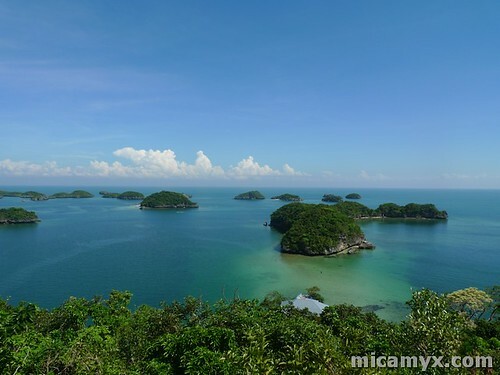 If you’re favorite subject in Elementary is Civics and Culture or Sibika at Kultura, you surely had that urge as a little kid to go to the Hundred Islands and simply be amazed on how these islands appeared in that clean body of water. Whew. 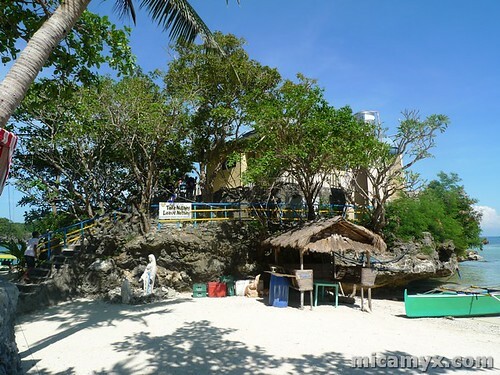 When Anton and I were discussing about the Pangasinan trip, I told him that i am dying to see the Hundred Islands and i think going there with a bunch of travel bloggers will make it extra special. After exploring Dagupan, Calasiao and Lingayen, Ada, Josh, Robbie, Estan, Darwin and I rented a van to Alaminos City. 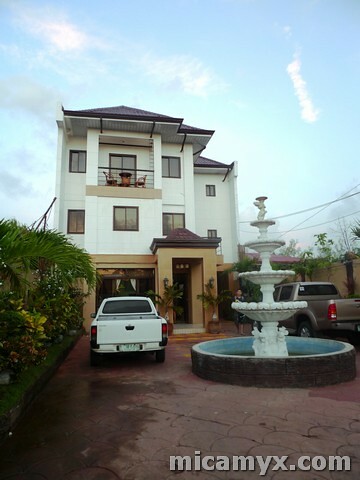 Although commuting is a budget-friendly option, we had to leave as early as 5AM in order to arrive in Islandia Hotel, our chosen accommodation in Alaminos City and be reunited with Anton, Gael, Marky and Cai, who were all fresh (or haggard? LOL!) from their full-time jobs. Much to my surprise, our trip only lasted for an hour. I didn’t take a nap although i was sleepy because i really missed our family’s roadtrip to Western Pangasinan especially when we’re bound to visit San Marcelino, Zambales. The view especially in Sual and nearby towns gave me that instant excitement for our first adventure as a group. 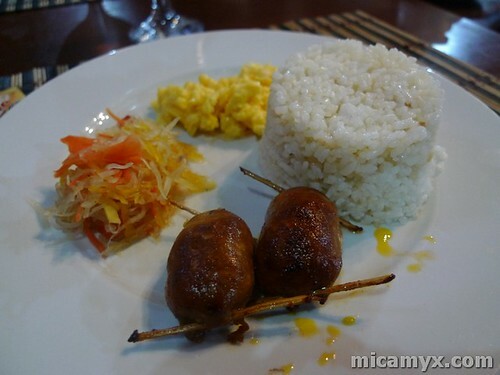 As expected, majority of us ordered the Alaminos Longanisa (pork sausages) for breakfast. It is extra special because instead of strings, the people of Alaminos uses tiny sticks and tied together with strips of palm leaves. What also makes the Alaminos Longganisa special is that it is made using natural meat with no preservatives and flavorings. It is almost similar to Binalonan Longganisa in terms of taste, but that deserves another blog entry. 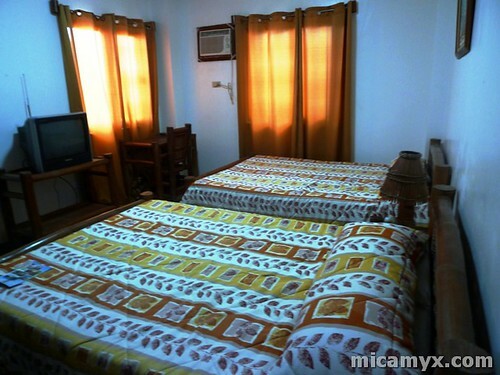 The group decided to rest and relax in our respective rooms for an hour before proceeding to the Hundred Islands Nature Park, which is the highlight of the trip. Mr. Klydz Busto, the manager of Islandia Hotel gladly entertained us by answering some of our questions. He also informed us that the Alaminos City Airport is already on the works and it might be ready for use by 2011 😀 In my personal opinion, this can help boost Alaminos City’s tourism since tourists can come over in a much more convenient way. The long travel hours is actually the main factor why there are less travelers going up north compared to those flying to Visayas and Mindanao. The staff and crew of Islandia Hotel also toured us around the place. The swimming pool was being filled out with new water that morning that’s why I concentrated on taking pictures of the rooms. Anton and I looked for Mr. Rey Livara, who was then Â busy in preparing for Christmas Parol Decorations to be displayed in the town. To be honest, i was expecting a very ‘strict-looking’ tourism officer prior to meeting him. 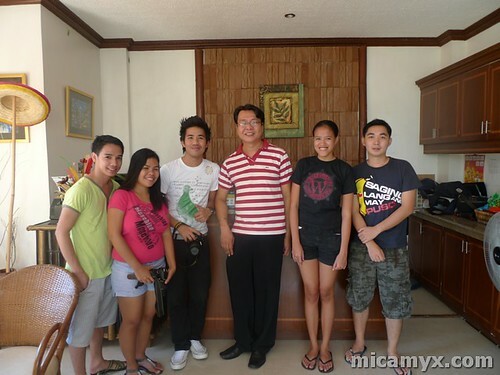 I am glad that he is actually nice and accommodating. 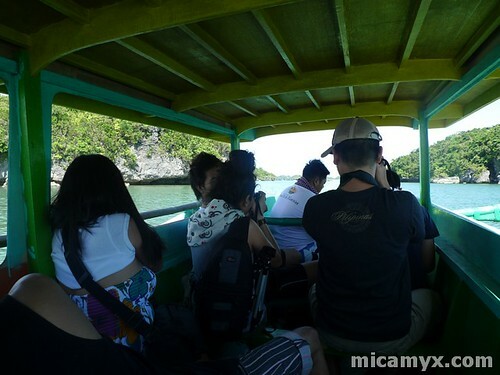 You can also see his sincerity and excitement of touring us around Hundred Islands. I know that he is always doing the island hopping rounds with other visitors, but he appeared as if its also his first time with bits of interesting information while we travel. 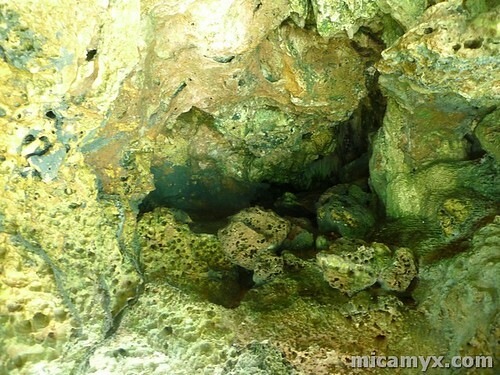 Gaano kaya katagal kapag mag-island hopping kami sa lahat ng islands?! 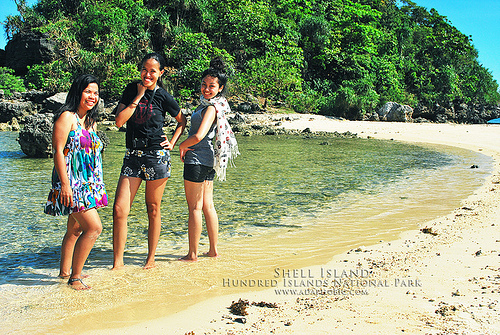 Our next destination is the Shell Island. 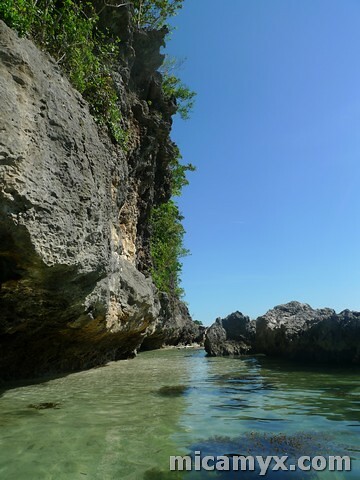 I haven’t read any newspaper article or blog entry about this island before, and wow, it is surprisingly beautiful. Am i still in the Philippines?! Ganda ng Pilipinas! Hehehe 😛 As usual, the bloggers had their own emo moments. Some took self-portrait shots and group shots. Mawawala ba ang jumpshots? Hehe 😛 Although the heat is literally making us sweat too much, we didn’t really mind. Taking photos in this beautiful island under the sun is just a bliss. 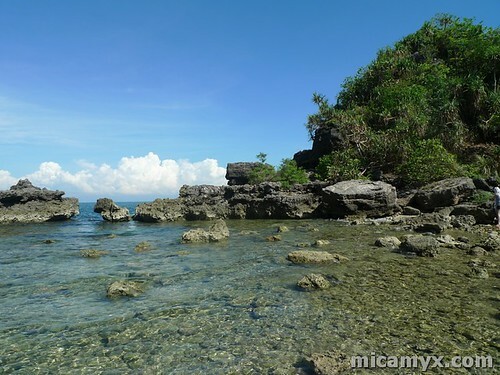 We had our late lunch at the Quezon Island, which i believe is the most populated island. 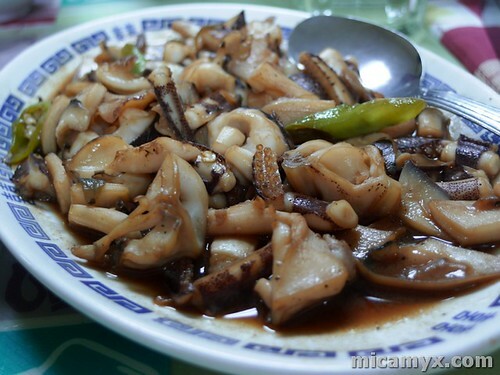 There’s a number of food stalls and accommodations there. 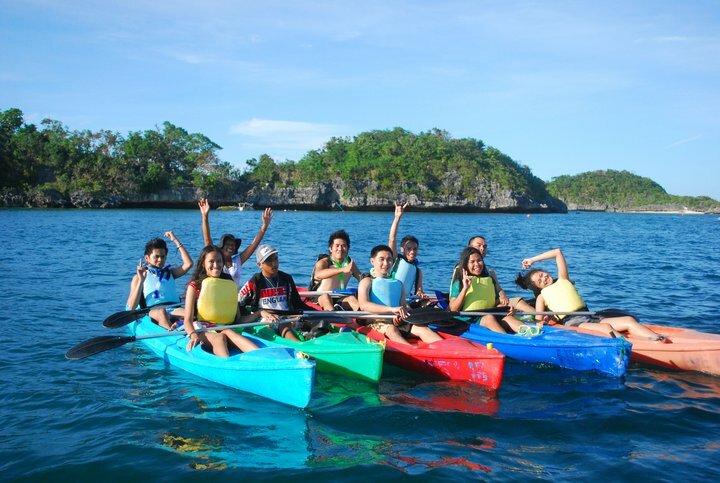 It is also the starting point of some water activities such as snorkeling, kayaking and diving. We were all hungry and we need to recharge for some physical activities in store for us. 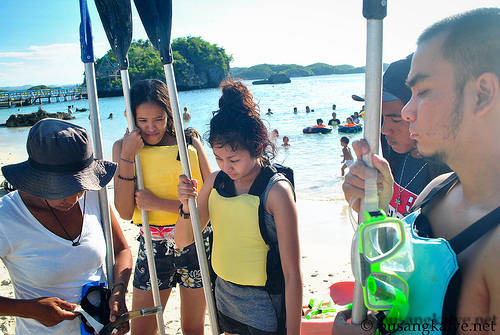 We were taught on-the-spot about the Basics of Kayaking. Our rushed tutorial was done in less than 10 minutes. Before we know it, we were already with our partners and we’re on our way in a far, far away island. 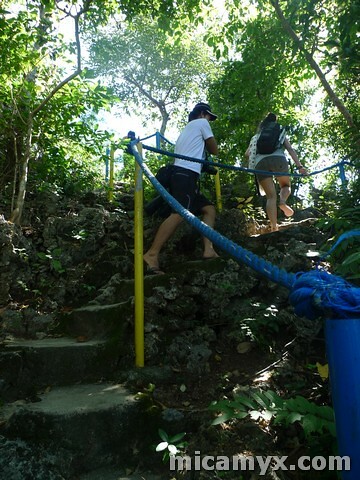 Robbie was my partner in crime and we were the last to reach our destination (ang layo naman kasi – hindi kami prepared na ganun kaagad kalayo wah!). 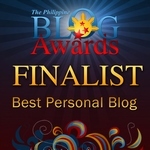 Overall, i am really happy and more than satisfied with this experience. 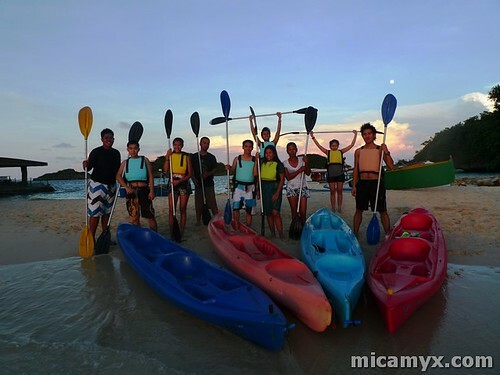 I didn’t expect that Sir Rey and the rest of the local tourism of Alaminos City prepared these activities for us! 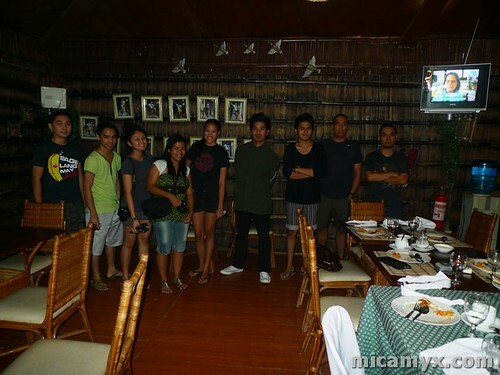 Sir Rey and Von brought us back to Islandia Hotel. Anton kept on sharing many many jokes on our trip back to the hotel :)) Majority of us fell asleep in an instant when we arrived in our respective rooms. Our overnight stay in Islandia Hotel is a comfortable one. I slept at around 9pm and woke up at 7am. Tulog na tulog na tulog! Sulit na sulit! 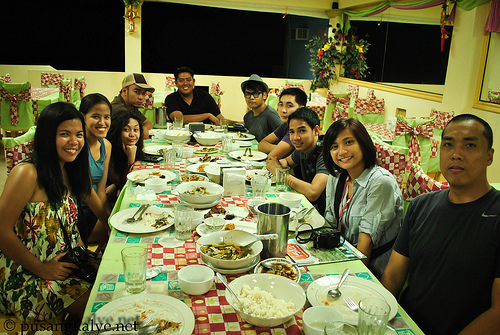 We would like to thank Sir Rey Livera and the rest of the Alaminos City Local Tourism staff, Mr. Klydz Busto and the rest of the staff and crew of Islandia Resort, Island Tropic Hotel and Restaurant for the uber sarap na dinner and my nine travel blogger friends for giving me a hundred reasons to smile on the 20th Day of November, 2010. –parang gusto mong tapatan mga kulet captions ni ed ha. hehehe. at best jump talaga kasi effortless. 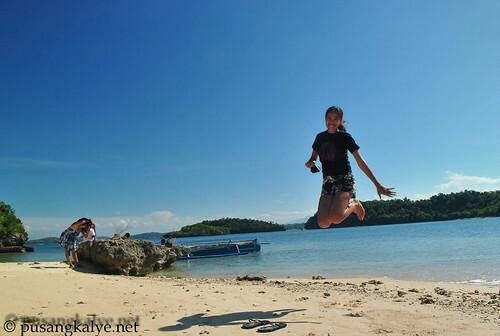 meron pang 2 akong stolen jumpshot mo sa white beach ng patar. best high jumper ka talaga. wow! naman..dame ko appearance! iba na talaga pag sikat!! Wow Galing Talaga!!! 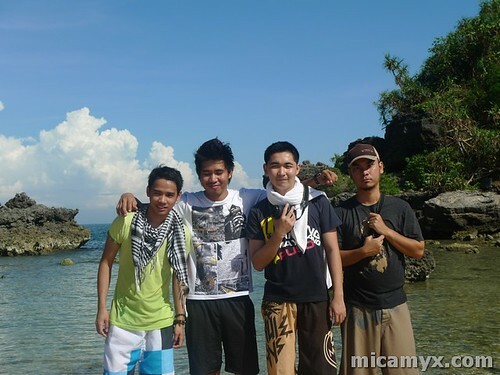 babalik ako dyan sa Summer, galing kmi jan nung Nov 27 2010 e..
What a fun trip! I gotta try that Alaminos Longganisa someday.